Stan Ingram has been a practicing attorney for over 40 years, concentrating his practice in the areas of Oil and Gas Law, Exploration and Regulatory Matters, Licensure and Certification Law, Health Law, Chancery Practice and Real Estate Matters. The unique co-specialties of Oil & Gas and Licensure and Certification Law did not happen by chance. Before going to law school, Stan served as an investigator for the Mississippi Medical Board. After law school graduation, Stan accepted a position with a prominent Mississippi law firm exclusively practicing Oil and Gas law. In 1983 he was asked to serve as complaint counsel for the Medical Board and has been serving in that role ever since. In addition, Stan began serving the same role for the Mississippi Dental Board in 1996. When not prosecuting before the Medical and Dental Boards, Stan defends other professionals before their respective licensure boards, having now prosecuted or defended over 400 licensure and certification hearings. Of equal importance is Stan’s Oil and Gas practice. 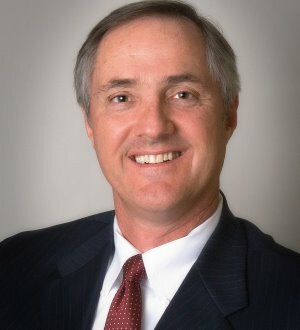 With years of experience, Stan has developed expertise in examining title for the purpose of rendering preliminary, supplemental and division order title opinions; representation of clients before the State Oil & Gas Board, review and preparation of JOA’s, farmout agreements and other transactional matters, as well as energy litigation. Whether Oil/Gas or Licensure Law, Stan has extensively lectured or presented numerous papers in both areas.